Wearing neither a harness nor rope, the climber stretched her arm toward the distant hold using every muscle in her body to stay connected to the overhanging wall. 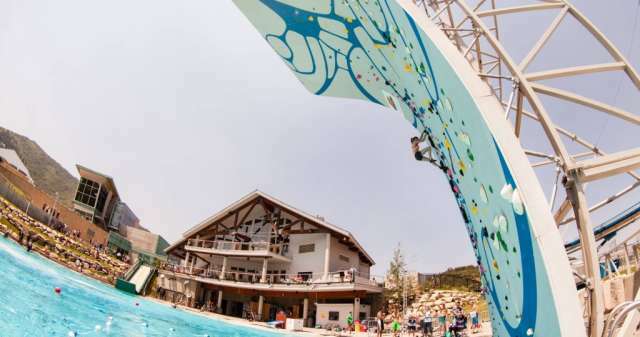 Gravity won, pealing her off the wall to a splash landing in a pool 30-feet below. Shortly after, another climber reached the top of the 50-foot wall only to leap off voluntarily.